Versatile four-way organizer features three trays to hold letter-size and A4-size documents and folders. Two fully removable drawers store paper clips, pencils and more. 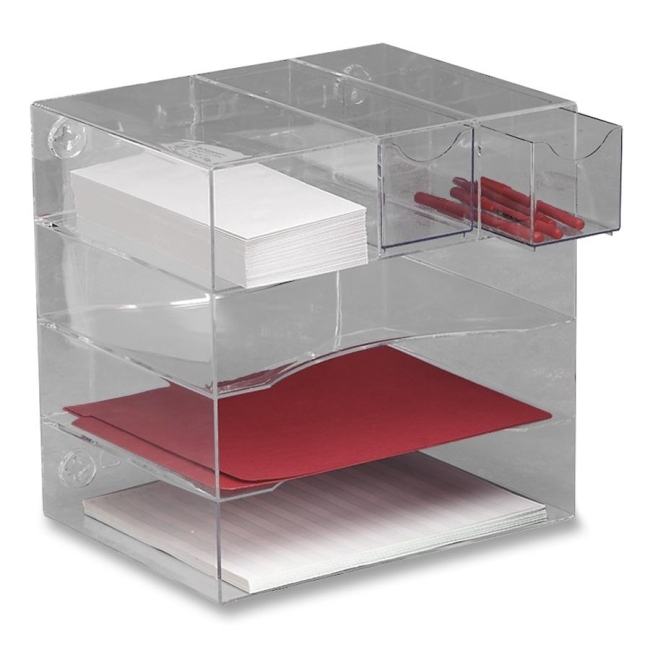 Set organizer on any of its four sides. Organizer sits on desktop or mounts to wall.